It lasted 46 days, visiting 42 cinemas in 34 towns and 16 regions: this was the Giro del Cinema, the itinerary conceived in Italy, following in the footsteps of the tour already organized at an international level, by Nicola Curtoni and Emilia De Santis. 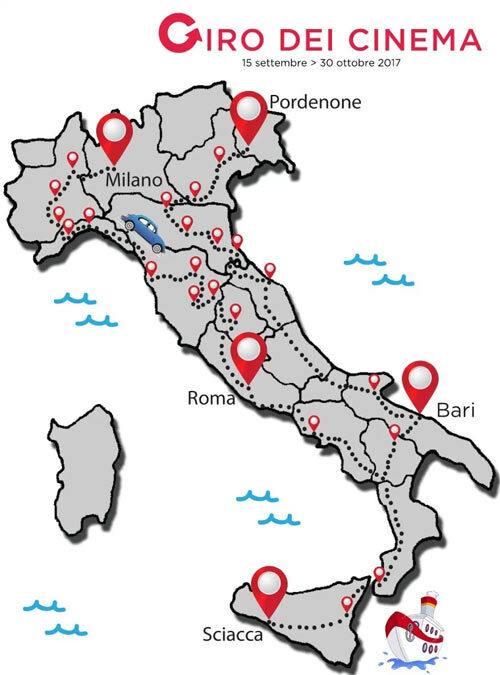 Covering over 5,400 km., they listened to the opinions of 81 Italian exhibitors in the independent sector, collecting significant experiences and picking up on trends and turmoils in a particularly active area of cinema exhibition. 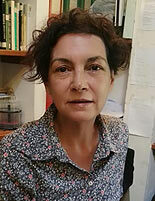 "Although quite varied," commented Nicola and Emilia, "the 42 venues visited share quite positive audience reactions: during this year in which exhibition in Italy has seen an overall dip in admissions up to now, the number of spectators proves to be stable or even on the increase." The strong points of this sort of cinema, which ranges from cinemas managed by cooperatives or associations relying strongly on voluntary work to commercial businesses, and embracing community theatres, can be identified in the search for dedicated programming and the attention to establishing personalized relations with the various types of audiences, without neglecting technological quality and the commitment to offering added services in different fields, from catering to culture, even creating showcases for art or literature. As to the difficult aspects, Nicola and Emilia have taken up the exhibitors' appeal to schedule releases covering the whole year instead of being concentrated in eight, or even just six, months and to come to agreements with the distribution sector to allow greater flexibility in programming. "And now our focus will be on studying the wealth of material collected during the Giro!" say the protagonists of the Italian Tour. MEDIA Salles will be following this second phase of the Tour, paying particular attention to the technological evolution of the independent theatres and to those factors that can become obstacles to fully implementing it. If, indeed, most of the screens visited are equipped with DCI-compliant digital projectors, it is also true that there are several venues where electronic projectors have been chosen in order to keep costs down. It is therefore essential that a keen interest be maintained by the industry and institutions in the same inclusive technological development that was a characteristic of the shift from 35mm to digital projection. To keep up with "Giro dei cinema"
Leopolis, with its 750,000 inhabitants, is the seventh largest city in the Ukraine today. In Ukrainian, it is called Lviv, but is also known as Lemberg, Lwów and Lvov, reflecting its complex history and the fact that it has belonged to the Austro-Hungarian Empire, Poland, and the Soviet Union. Only 73 kilometres separate it from the Polish border and thus the European Union, which Ukraine regards with keen interest. This is something that can hardly escape the attention of even the most absent-minded tourist, in view of the large number of blue flags with gold stars flying from public buildings and others as well! 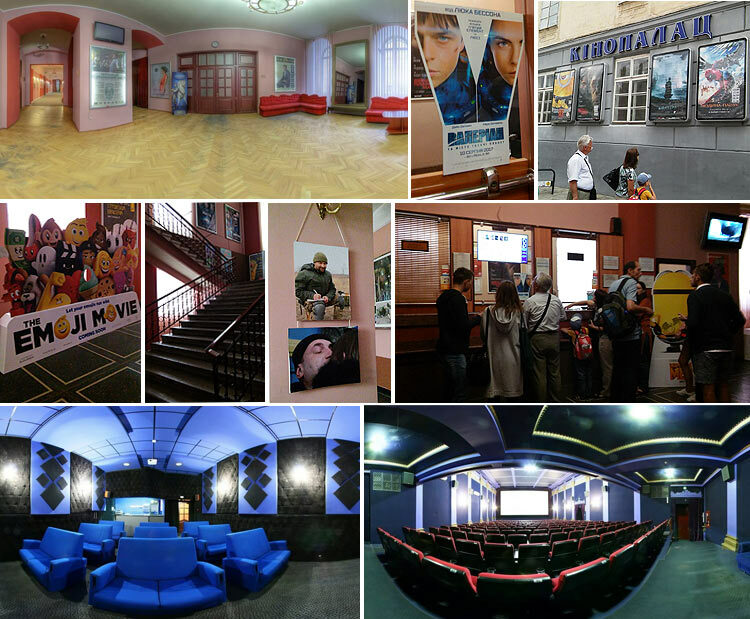 With an architectural style that is more similar to Budapest's or even Trieste's than to Moscow's or other cities in the Slav world, even as regards the cinemas Lviv looks like many Central-European centres - apart from the signs written in Cyrillic characters. Situated on Teatralna Street, in the heart of the city, beside Lviv's most sophisticated hotel and surrounded by prestigious historical buildings, the Kinopalace stands out thanks to its ample spaces and slightly démodée elegance, contrasting with the posters of recent international films, such as Emoji or Valerian, the latest Transformers and Despicable me 3. Despite this, we are reminded that this is not Vienna or Ljubljana first and foremost by the ticket prices: a screening, even in 3D, here costs 75 Hryvnias, or a little over two euros (and before 2 p.m. even as little as 55). Yet what really strikes visitors and plunges them into the dramatic situation of the Ukraine today, is the exhibition in the foyer leading into the Kinopalace: a photographic report on the war going on along the Country's eastern border. Faraway, So Close! 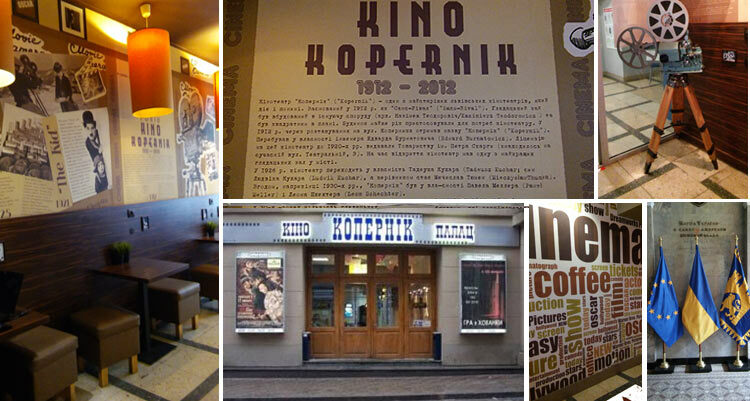 The Kino Kopernik is situated in the city centre of Lviv, a few steps away from the French-style Potocki Palace. Overlooking the avenues leading to the Opera, it offers the welcoming atmosphere of an art-house cinema of the recent past. The Secession-style building, the panels narrating the history of the theatre, which dates back to 1912, and the exhibition of old 35mm projectors all pay tribute to history whilst the "globalized" offer of a range of snacks and drinks, from an espresso "latte" to croissants, brings us right back up to date. The theatre, which takes its name from the famous Polish cosmologist, can be considered the younger sister of the Kinopalace (both belong to the same company), both in terms of size and because they use quite different projection technologies. Whilst the Kinopalace has been digitized, the Kopernik has ferried itself into the digital age by using Blu-ray. This is certainly a less costly alternative in terms of investments and is also linked to the cinema's programming: the Kopernik offers less mainstream titles than the Kinopalace, the group's admiral ship. Ticket prices are also different, varying between 20-25 Hrivnias here, or 0.70 - 1.50 euros. The Kopernik's price strategy and policy remind us of an issue that has been keenly debated ever since the early days of digitization: should all cinemas use the same standard of quality for their projection (actually based on DCI specifications, in other words those of the studios) or should they be able to turn to different technologies, in line with the theatre's characteristics (such as screen width) and the business potential of the audience catchment area? The Kopernik can be seen as the knight-defender of hundreds of screens which, particularly in Central-Eastern Europe - and especially in the Czech Republic - have adopted electronic projectors in an attempt to bring continuity to an enterprise that gives priority to socio-cultural aspects rather than to commercial interests. To sum up, the show must go on! Daniela, Camilla, and then I came along. For years the work of programming at the Arsenale Cinema was "women's business". A small group always on the lookout for new input to improve the cinema's cultural offer: from the classics of cinema history to quality premières, from films in their original language to silent films with musical accompaniment… and then retrospectives and occasions dedicated to authors, documentary film weeks: an unceasing job in constant evolution. Evolution that has always given priority to capturing the changes taking place in society, which have consequently influenced the style of cinema-going, too. Printed programmes, the backbone of our communication since 1982, have been joined over the years by our website, newsletter, Facebook page, Twitter and YouTube space, with its own special channel, and Instagram with the various competitions designed to involve younger audiences more. The same occurred for the digital shift: between 2012 and 2013 the theatre was equipped with the new technologies. 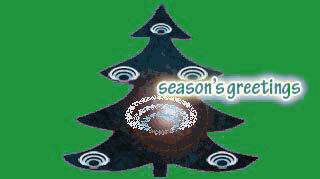 With some regret we abandoned the good old film-reel - the demands of the market had become too pressing. One last comment: to broaden our cultural offer, the foyer was transformed into an exhibition space, devoted to young artists (cartoonists, painters, sculptors), because our idea is to make the theatre into a total experience that reaches beyond simply programming a film. In my work I'm assisted by two fantastic under-thirty-year-olds: Margherita Mattei and Antonio Capellupo.